Have you ever looked at a HMI (Human Machine Interface – the computer screen that operators interface with) in your plant and been overwhelmed with a rainbow of colors, flashing numbers, shiny tanks, and moving objects? If so, your team has likely fallen victim of the “more is less” mentality that has been floating around in the world of HMI as of late. 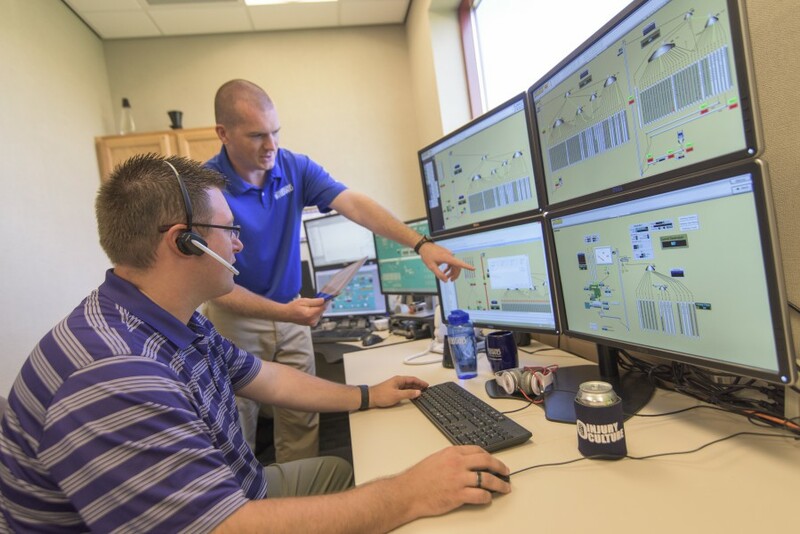 The idea of the “High Performance HMI” is to create an HMI that gives operators the critical information they need to know to safely and effectively do their jobs without being overwhelmed with information and animations that don’t add value to what they are trying to accomplish. Part of this concept is to present information to them in such a way that they are not distracted by elements of a screen that do not provide any real operational value, but instead the most critical information is highlighted and easy to understand at a glance. Judicial use of color. Too many colors can overwhelm a person when they are trying to view the process from a high level. Colors like Red, Yellow, and Orange all work to attract the operators attention. That’s why these colors should be reserved for abnormal or alarm conditions. Incorporating a back drop of a more neutral color, like gray, and highlighting abnormal conditions with brighter colors will allow operators to easily note an area where abnormalities are occurring. Limit Animations and Moving Parts. Many times movements on screens don’t provide real value and only serve to draw operator attention away from important information. Graphs are betters than numbers. Numbers are important for precision, but graphs and “analog sliders” are much easier to see and understand at a glance. Alarm Management – Determine importance of alarms, which should be highlighted, and in what ways. This will serve as a way to avoid overwhelming operators with alarms that may be of little value or serve as notification only. Some recent major industrial disasters can be attributed in part to an HMI and alarm management system that did not highlight the critical information at the critical time. An improved design in these systems could have allowed the operator to quickly notice substandard performance, and quickly take action to prevent the catastrophe. (example: Texas Oil Refinery Explosion) Incorporating the elements of the High Performance HMI into your operator stations could increase your productivity and make your plant a much safer place to operate.